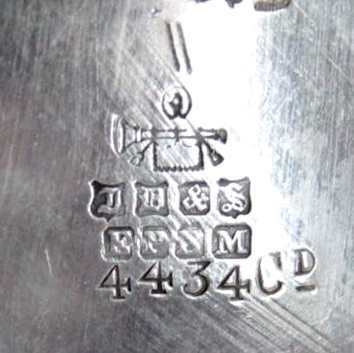 From centuries British silver is protected by the stamping of symbols and letters identifying the maker, the Assay Office and the date in which the quality of the silver piece was verified. 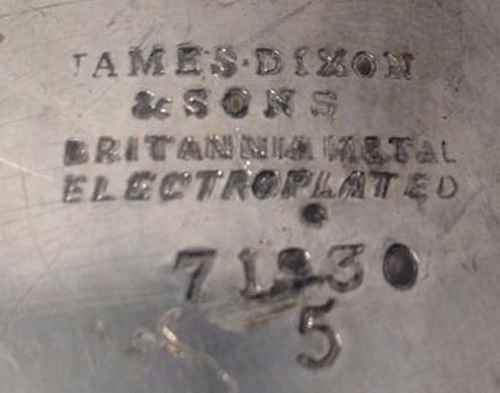 Thanks to the "date letter" any piece of British sterling silver can be exactly dated. 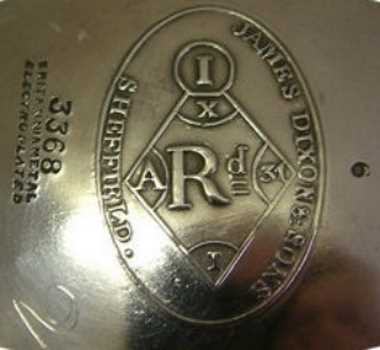 Old Sheffield Plate and Electroplated silver are not subject to this practice and the regulation issued by the authorities had the main objective of preventing possible frauds by unscrupulous sellers of plated ware. 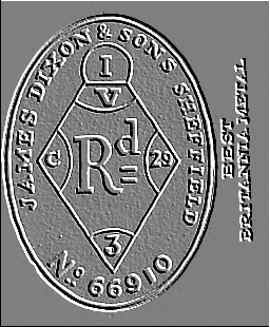 The best-known initiative is the prohibition (effective from c. 1896: Elkington was forced to change its mark in 1898) of stamping plated wares with the "crown", to avoid misunderstanding with the symbol identifying the Sheffield Assay Office. The largest manufacturers introduced, on a voluntary basis, a dating system of their silver plate based on series of letters of various style contained into shields or geometric figures. 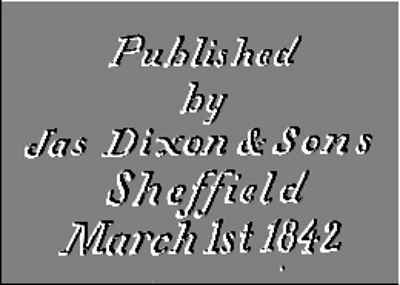 The first was Elkington (1841), followed by Walker & Hall (1884) and Mappin & Webb (but other less known makers tried to do something similar). 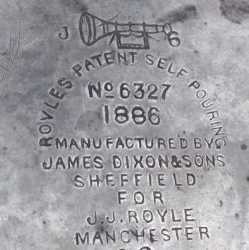 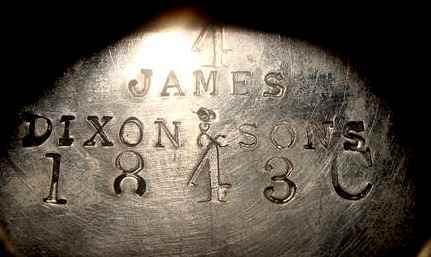 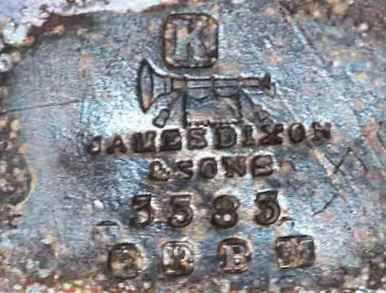 For Dixon isn't possible an exact dating as the firm never adopted a system of dates on its silverplate marks. 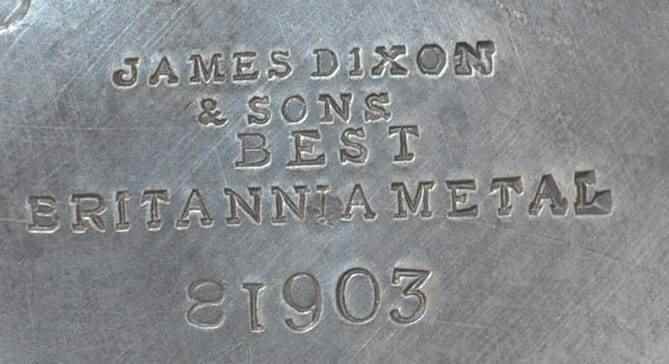 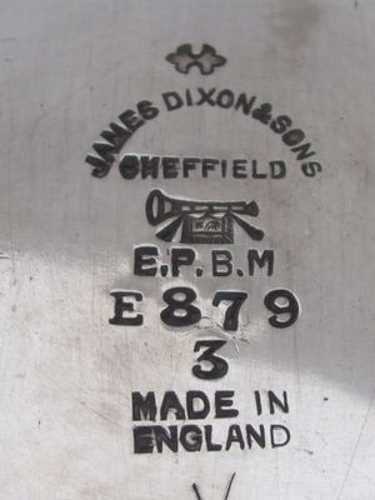 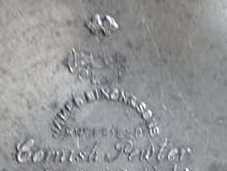 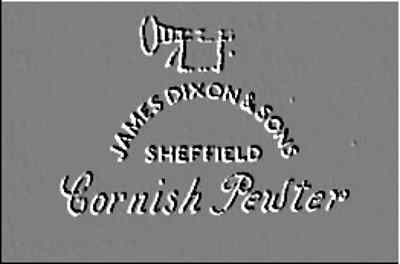 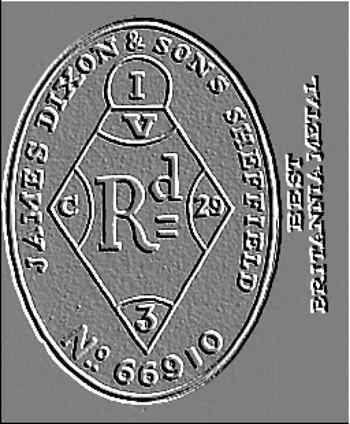 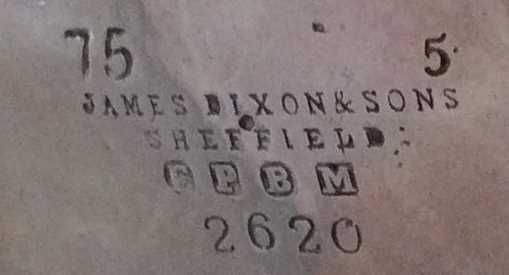 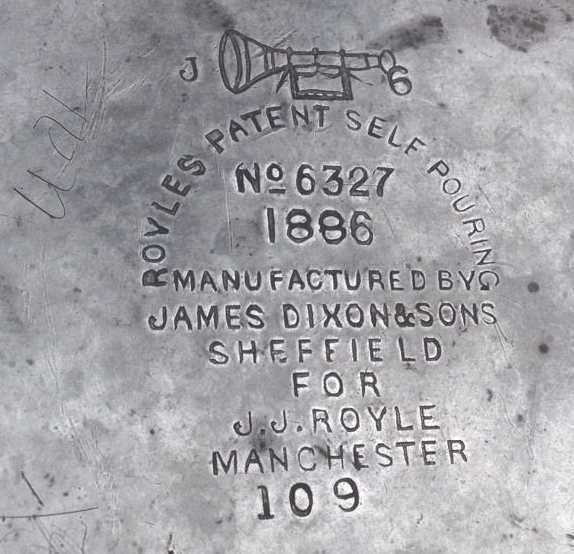 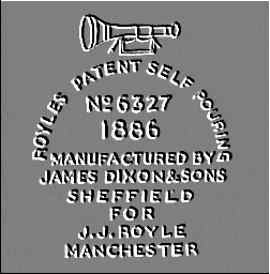 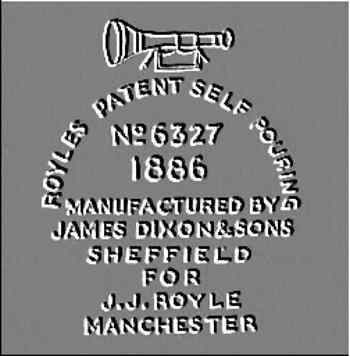 The approximate dates reported in this page referring to the trade marks used by Dixon in Britannia metal (pewter) wares are largely based on the study made by Jack L. Scott in his book Pewter Wares from Sheffield. 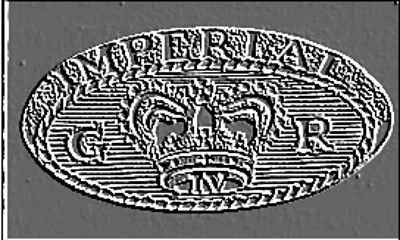 Imperial standard was introduced in 1824. 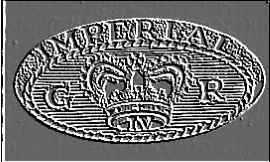 This voluntary escucheon mark bearing King George IV initials (d.1830) was applied to Imperial standard measures prior to the compulsory introduction of verification marks (1835). 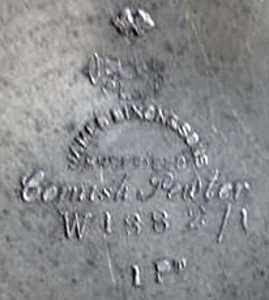 Basic mark used in this period. 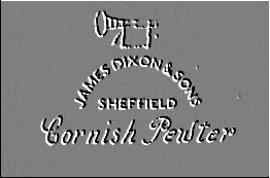 In 1842 James Dixon retired from the business. 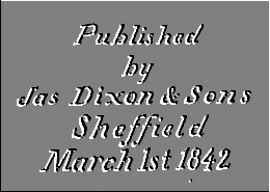 The firm was assumed by James Willis Dixon and a third son, Henry Issac Dixon, and a son-on-law, William Fawcett, became full partners.